Manufactured from our 85,000 sq ft site in Northumberland, our locally made rooflights are available throughout the whole of the UK. Based in the North East of England we are in a prime location for easy delivery throughout the Northern region as well as the rest of the UK. 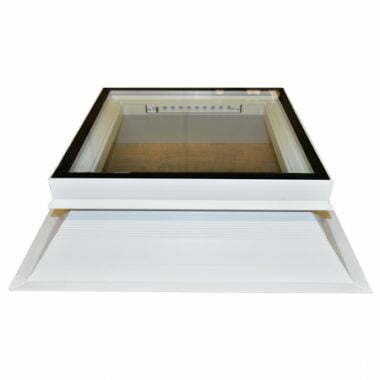 As we design and manufacture the rooflights this means that we can create bespoke rooflights. Our team can discuss with customers any specifications they may require such as a different size to that stated on the website. All of our products are manufactured and assembled, ready for the delivery from our Bedlington base. Once we have received your order we can dispatch your rooflight from our Northumberland warehouse within 48 hours – Monday to Friday – and we provide free delivery throughout Britain. We offer our products nationwide and due to being a local business have built up a strong reputation and trust with our customers based in Northumberland, Sunderland, Gateshead, Durham, Newcastle and further afield. Since all of our products are developed directly from us in Northumberland, you can be assured that your rooflight will meet and often exceed British industry standards. This is why we are recognised as being one of the most reliable and largest distributors of rooflights in the UK.